We continue to make our way through the archetypes of the Major Arcana. We have moved from learning the language to learning to use our own voices. We have formed a budding idea of who we are now and who we aspire to be. Here we begin to put ourselves out in the world. If we are true to our source of divinity and authority, our natural expression is one of love. And so of course, here we meet love in all the ways it is expressed in the world. Here we learn how to relate. We also learn our way with desire and how to discern if what we desire is fleeting or lasting. If what we desire is true. Here we are met by the Lovers of the tarot. We leave the home, knowing ourselves and begin to move towards building a home of our own. At this point in the story the fool has some self knowledge and has learned from the stories of how the structures of this world came to be. We know how to contemplate matters and understand there is a higher truth above our singular experience. And now we set out to gain new experience and learn how we relate to others. How we move with others who are on their own journeys. And we begin to learn what pulls at us. What we are attracted to. And we begin to develop relationships that offer us opportunities to glimpse ourselves in a new light. We learn to test our new found desires against the Truth of who we are. The Celtic Wisdom tarot calls this card the Lover of Devotion. The Lover is associated with the Rowan tree in the Celtic Ogham alphabet. The Rowan is a symbol of protection against tricks and illusions and staying true to ourselves. The Wild Unknown shows a pair of Canadian geese, who mate for life, in harmonious and joyful flight. The Lovers card may be a cue to look for love and romance in our lives. It could also be asking us to make sure we are not led by false desires. It always asks us to stay true to that highest love and seek harmony in the situation. The Lovers remind us there is always love available. Sometimes we may need to look for it. When this card appears it addresses nurturing and generative energies or experiences. It”s a card of deep and devoted sharing and caring. The card can also indicate fitfulness and a long term of tending what will grow. When this card appears it reminds us that everything moves and operates within cycles. Winter gives way to spring, spring to summer, summer to fall, and fall to winter. When The Wheel of the Year card is drawn look for patterns, both of gain and decline. Acknowledge whatever condition or situation in which you find yourself, and be in harmony with it. Understand that nothing is permanent and that existence equals change. Be part of the cycle. When this card appears it”s focus is upon the sense of home, family, and a place in the community. It reminds us of family ties and the lineage that connects past and present. At the core this card speaks of inner peace, contentment, and sanctuary. On another level the card calls to us about relationships in general, including how we take care of ourselves, for the sense of home and place begins within the inner spirit. 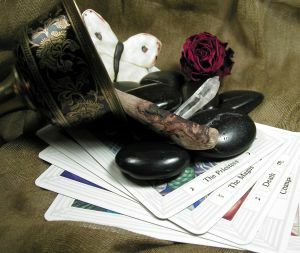 Psychic reading can be labelled as the modern name of the ancient practice of divination. The readers involved in this practice were earlier known as fortune tellers. It’s a unique power of extra sensory perception seen in specific humans around the world. Some special category of people who bears an additional intellect of the basic human senses of sight, sound, touch, taste and instinct are involved in psychic readings. These can be said as paranormal based consultations given to people in varied forms in return of a fee. During a reading, a psychic reader would closely visualize you and you’re near ones. They adopt this way to help people understand what’s going on around them and what is likely to happen. As these special abilities and readings have no scientific proof, controversies keep on revolving around them but in the same place widespread interests persists as well. There are extensive areas and specializations, a professional reader can expertise in. Many varied types and forms of psychic readings are practiced these days. Astrology- In astrology predictions are made with reference to the current positioning of planets, stars, sun and moon in the heavens comparing them to where they were when a person was born. Aura reading- This reading is done by determining the meaning and colors of a person’s aura layer, which is a subtle, luminous radiation or energy field surrounding them. Cartomancy – It’s a reading which involve deck of playing cards typically used for playing rummy or poker to tell fortune and reflect various features of an individual’s life. Clairvoyant- Psychics in this kind of reading utilizes the skills of seeing images and visions related to one’s life. They tap into the energy system of an individual to see the past, present and future. Cleromancy – This reading is generally executed by throwing stones, bones or dice and then analyzing them by their position, orientation, and mutual proximity. Psychometry – Here in this study, the psychic, receives information about their client through physical contact with some of their articles or possessions. Remote Viewing- In this skill of clear seeing the reader travels psychically to a different location for describing a scene or happening. Crystal Ball Readings- This form involves the skilled crystal ball reader to see images or visions about an event or a person using their crystal ball. Lithomancy – Here the psychic uses the art of reading gemstones by tossing them down and analyzing their patterns based on positioning. Palmistry – It’s a well-known form of reading done to foretell the future by the study of lines and wrinkles of the palm. Rune Readings – Runes are ancient alphabets used for divining the future. This reading is done by arranging the rune letters or tossing them in a spread while the reader is thinking of any question that seeks answers. Numerology- Numerology again is a very popular form involving the study of numbers and their influence in a person’s life. This reading is based on numeric values like date of birth or the number of letters in the name of the individual. Tarot Readings- In this highly popular form of reading tarot cards are used by spreading them in a particular manner as per the reader’s choice to interpret the past, present and future or to give the answer to a specific question. As I’ve mentioned in a previous blog, everyday I like to pull a single card from my new tarot deck and give myself a “Daily Focus” reading. This type of reading is good for a few reasons; one it doesn’t take a lot of time so if you have a busy schedule you can do it in the amount of time it takes to brush your teeth, and two it really does help me find what I need to focus on and pay close attention to that day. This morning I shuffled my deck and asked what my focus should be on, cut the cards and chose The Five of Wands. As I read what the card represented I chuckled a bit knowing that Monday’s are very busy for me, especially today. I have a to-do list a mile long and as I clocked in this morning I panicked a bit wondering how I was going to get all of the tasks completed but then I thought of my daily focus card. What it represents- Feeling scattered, lack of focus, feeling lost. The five of wands is a card of conflict. I may find myself scattered and distracted, tending to everything and nothing. Wands usually deal with goals so the conflict resides within. Take this card as a warning: find ways to bring calm to my mind or these problems will increase. What I got from this was that I needed to take a few minutes to myself and get my mind right before starting some of my tasks. I made myself some tea, did a few jumping jacks to get my blood pumping and relieve some stress, then started with easy tasks like replying to emails etc. I know I tend to get overwhelmed easily and pulling this card today helped me see that I need to take time to myself so that I don’t…basically have a nervous breakdown. Haha. These daily focus readings really help open your eyes to bigger things that might be causing you troubles in your everyday life. Take time for yourself if you feel overwhelmed. Things will get done. Writing this blog is one more thing off my checklist. See, making progress. Picking up where I left off Monday, I stated I’ve been getting familiar with the tarot and giving myself different spreads and readings to learn the cards and their meanings. Well today I gave myself a 3 card spread. 3 card spreads are great because they are simple and quick and answer questions quickly. 3 Card spreads cover past, present, and future possible outcome. I love using this spread when I have a question that i need a straight, simple answer for. Recently I have been giving a lot of thought to making a serious life change and uprooting my life across the country. I’ve spoken to a couple of Foretell’s psychics about it and they have all given me great hope about it but today I wanted to ask the cards myself. So I did just that. I was pleased to pull the 3 cards I did because they were pretty nail on the head. I was not surprised to see the first card I pulled representing influences from the past that still affect the situation was the 5 of pentacles which represents worry and anxiety. It can mean financial hardships and fear of rejection. Two things I am very worried about moving across the country. I need to seek out meditation and find peace in these worrisome times. The 2nd card I pulled representing the present was the 7 of pentacles. This card is for a period of contemplation (pretty perfect, right?). There’s a lot of uncertainty and reflecting taking place now in my life and I’m weighing out the pros and cons of staying and leaving. Reflecting on all the time I’ve spent in one place and wondering why I’m still broke when all I do is work or why I’m still single… wondering if there’s more for me somewhere different. Thinking period. The last card I pulled was the Ace of Swords. I was relieved to see this card as it represents mental clarity. The 3rd card is the future outcome card so I know that no matter what I know that I will be able to see with a new set of eyes and have a positive new outlook on life no matter where I am. All of this reflecting will make me see things in a whole new light and bring me the mental clarity I need and if I do end up in Colorado it will be where I need to be to find PEACE of mind. Recently I received a new tarot deck and I have been trying to become familiar with the cards and their meanings by giving myself daily readings. Sometimes I will give myself different spreads and do a full on reading but I have gotten into the habit of no matter how busy I am, everyday I make sure I turn to my deck and pull a “daily focus” card. Everyday I get out my tarot deck and shuffle the cards and ask “What should I focus on today?” or I will ask “What is in store for me today?” and then I will cut the deck and pull the top card. Today I was very happy to pull the 9 of Cups. It’s always a nice card to see as it represents bliss and harmony. The 9 of cups is known as the card that grants wishes and banishes fears and worries. Good health, happiness and possibly even material gains could be headed my way. We all have intuition. Some call it instinct. It is what animals in the wild have for survival. However,it is said that there are ways to expand your intuition. This blog will talk about some of them. Meditation can help quiet your mind. Some say it also helps one to be in the present moment. It is also said that the key to increasing your intuition is to stay present. You can practice quieting your mind which can help to increase awareness of your intuitive sense. Meditation is said to create the best access to intuition. To do a blind reading, you would need three blank index cards. You can think about a decision that you’re currently trying to make. Write a solution to the decision on each card. The next step would be to turn the cards blank side up, shuffle the cards, and place them face down on a table. Place or run your hands over each card,and notice the feeling,if any, you get from each card. Think about which card you are the most drawn to. Turn the cards over,and take a mental note of the decision that is written on the card you were most drawn to. 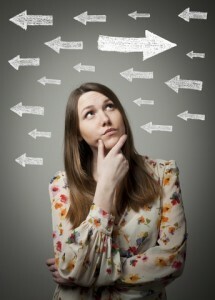 Fun and spontaneity are said by some to help develop intuition. To do this game, you imagine a traffic light. Take note that picturing the red light will indicate no, and the green light indicates yes. Ask yourself questions or make statements that have true/false or yes/no answers. Notice in your minds eyes what color the stoplight turns after each statement. Start by saying your name,like ‘I am Michelle’. Then call yourself by a different name,and watch in your minds eye to see if the colors change. After you get the hang of the game, you can try it in situations where you don’t know the answer. You can also pick a tool or activity to help expand your intuition such as the tarot, runes, scrying, or a crystal ball. You can use tools or create your own tool. You can scry or gaze at almost any object or a group of objects to open your mind and receive information. It may be better to start with a tool that you can easily practice with other learners,and then you can practice on friends. Even practicing a few minutes a day places the intent to open your mind to receive information. As any Diviner worth his or her weight in salt can tell you, may be defined as an attempt to elicit information from some occult entity or some deeply hidden dimension of the mind, information often considered beyond the reach of our rationality. Such questions are usually about future events, inexplicable past disasters, things hidden from sight or distant in space, and so on. As a practice, divination has its roots in very ancient history, in Babylon and Egypt and China. In the past almost anything could be, and was, used to divine by: the entrails of animals, the features of the human body, the stars, the weather, the elements, flights of birds. Sometimes the will or fate or the goddess Fortune, as the Romans named her, was discerned by casting or drawing lots, symbols or runes or alphabetical letters inscribed on bones, dice or slips of wood. Each divination system worked differently, but basically each symbol was associated by tradition with a certain meaning when it showed up. This type of divination carried the Old French term sortilege, derived from the Latin sortilegium. In medieval Europe the type of sortilege available to the literate man or woman, became popular. You obtained guidance by randomly opening what you considered a book dealing with the activity of divine powers, a copy of the Bible, the Iliad or the Aeneid, perhaps with eyes closed, pricking a line of text with a needle and interpreting it as an oracle. One of the Fathers of the Christian church, Saint Augustine himself, confessed to using this type of sortilege in times of crisis. Tarot cards and what we think of today as regular playing cards are not quite the same thing, although they are close cousins. The Tarot deck appeared out of the blue during the fifteenth century as a colorful variant of the standard northern- Italian playing card deck in either Milan, Ferrara, or Bologna – Tarot historians have not made up their minds as of yet. One of the earliest Tarot decks, the Milanese cards, was probably introduced to France by Soldiers returning from their occupation of Milan between 1495 and 1525. The French so-called Marseilles pattern appears to have been copied from these Milanese cards, and represents what most people today regard as the conventional Tarot deck. I absolutely love this card. The pictures i’ve seen on various decks have shown such stunning art. In the traditional deck we see a naked woman kneeling on the ground. One hand pouring out a container over a lake and the other hand pouring over the land. We see lush green fields and even a mountain scape in the background as well as the Stars above the woman centered on the card. This woman looks young and determined in her work. It’s like the dawning of a new day when this card comes. Strong feelings of hope and renewal seems like it’s within your grasp. Its that settling gentle nurturing and call to a more positive thought process that brings such wonderful things with this card in any reading. It’s this calm after the storm and things are starting to look brighter than it has for a while. Balance is still needed and you must make sure you listen to your inner self when you’ve reached your limits. it will do no good to get wonderful things and not be able to see the inspiration. There is some connection to astrology when this card comes up. As if to give the receiver some helpful guidance the Star reaches out and offers the art of astrology. Pay close attention to what the stars are telling you for the future. When the Star comes up in reverse you might need to step back and really see what it is that’s going on and reevaluate where it is you fit. When this card comes in reverse theres a sense of relying heavily on hope and optimism. Sometimes in readings the star in reverse could come up if you’re asking the same question over and over again in hopes that you’ll get an answer you want instead of an answer you need to hear. Relax and again really take a look at where it is you are and the situation that you are in and take some actions to further yourself.